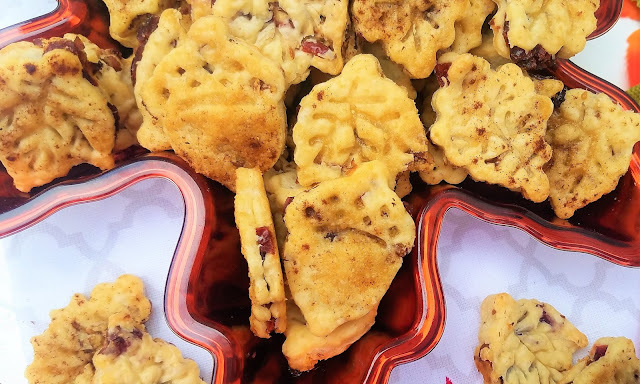 These Cranberry Walnut Pie Crust Cookies are literally the perfect little nibbles for the holidays! I took these to work on 2 different days and they literally disappeared! 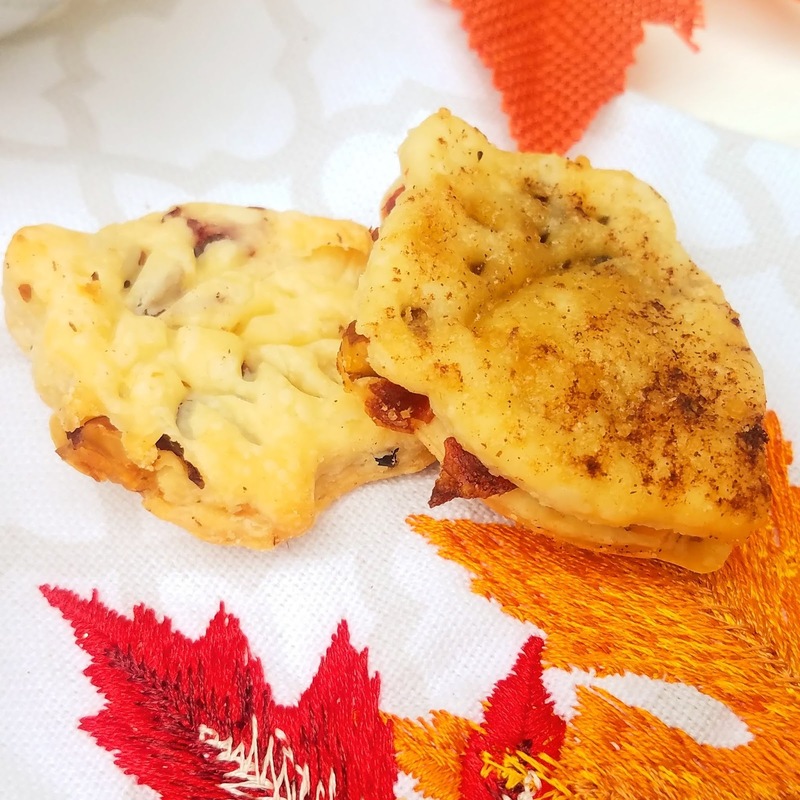 perfect bites of not to sweet, buttery, but a touch of cinnamon sugar to finish them off for that kiss of holiday sweetness. I did leave some of the tops with just a butter topping and no cinnamon sugar and they were so good too! PLUS you could totally use these to put on top of a bowl of soup, like a cracker! They are so fun to play with! 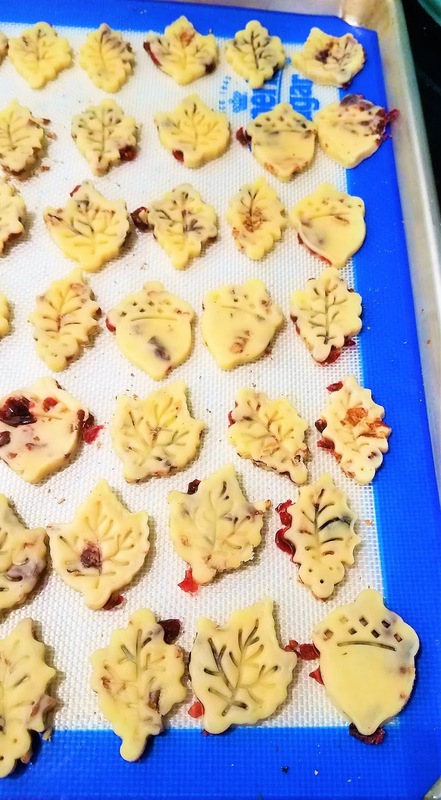 What about edging a pretty holiday pie with these pretty things? I first ran across these little cut outs at ; Home is Where the Boat Is. Shout out to this great source! Cookie Cutters: If you need some new ones : Christmas ones are so pretty with these too! Dollar Tree has such cute ones to choose from! 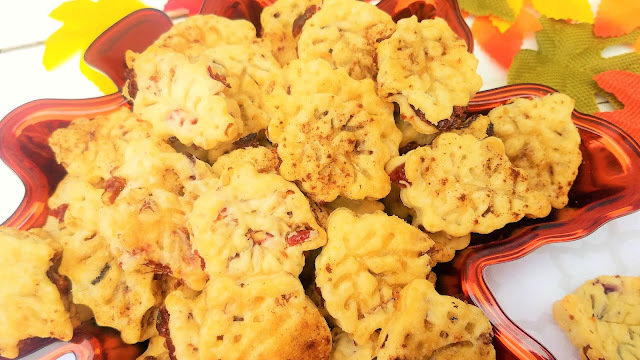 Pecans: Grabbing some Pecans or a nut mixture of any kind is perfect for these little bites. you don't need a lot so a small bag from Dollar Tree is all you need! Cinnamon Sugar Mix: These cookies wouldn't be perfect without a bit of cinnamon sugar. If you want to grab a bottle of premade mix, Dollar Tree has some for you! 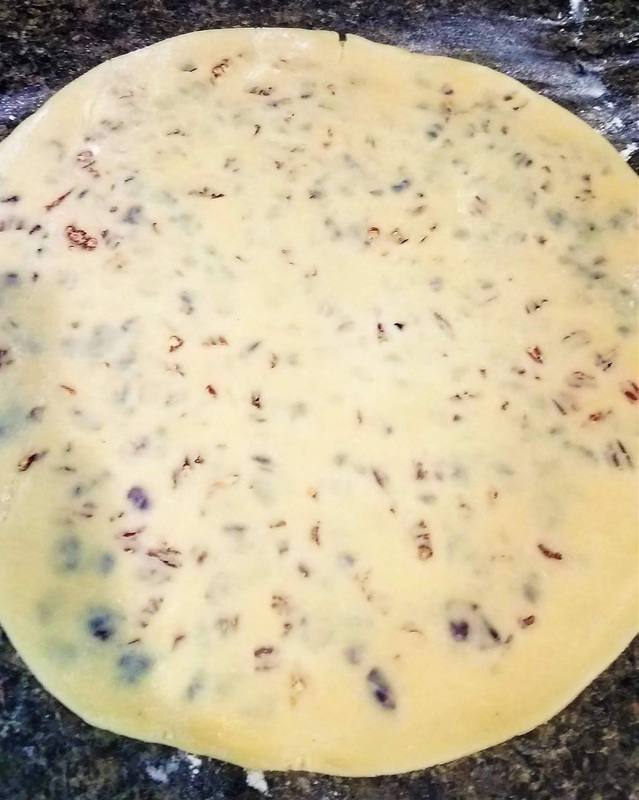 Parchment Paper Baking Sheets: If you don't have silicone baking mats, these cookie baking sheets are perfect for baking evenly baked, non stick cookies for the holidays! A must have for sure! I love that Dollar Tree has a pack of 10 sheets, just enough to get you through your baking season, and cut to fit your cookie pans! Let's get baking these pretty little Cranberry Pecan Pie Crust Cookies! Buttery Pie crust cookies filled with Cranberries and Pecans, and lightly sweetened with a butter and cinnamon sugar topping. 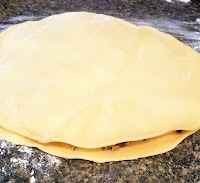 Unroll 1 of the pie crusts from the package on a lightly floured surface, smooth out the seams. 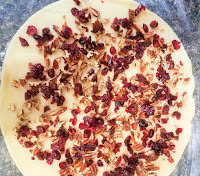 Sprinkle the top evenly with cranberries, then with pecans. 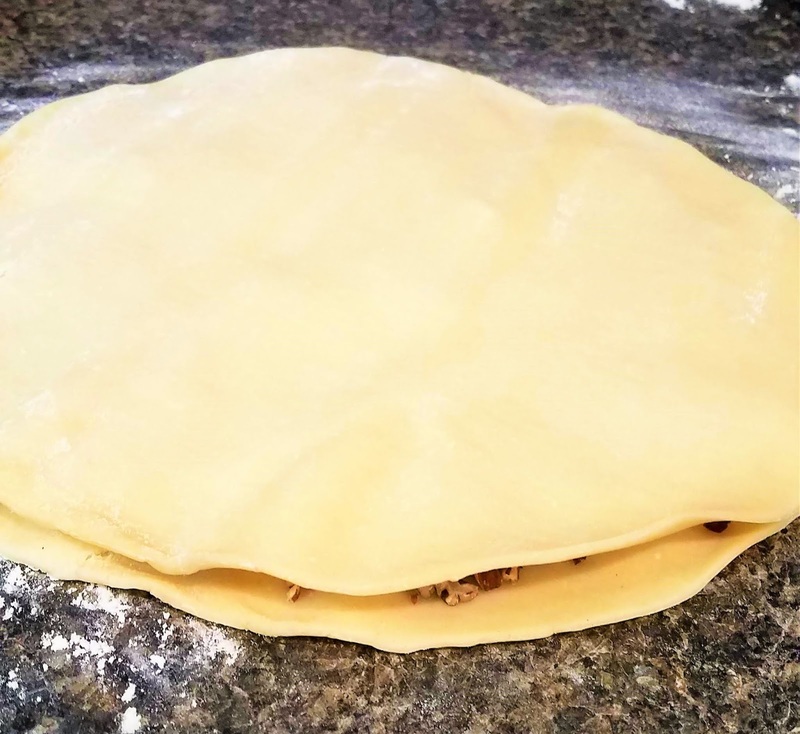 Unroll 2nd pie crust from the package, and smooth out the seams, place on top of the first pie crust. Using cookie cutters cut out shapes and place on ungreased parchment lined baking sheet. Reroll the extra scraps . 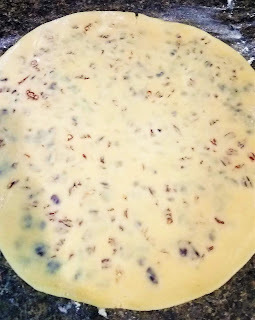 The cranberries and pecans will start to surface toward the top, this is fine, and actually makes for very pretty cookies when you reroll and keep cutting out cookies. Bake at 8-10 minutes till golden brown. Who knew Dollar Tree had all this wonderful stuff! A great way to do some holiday baking on a budget!